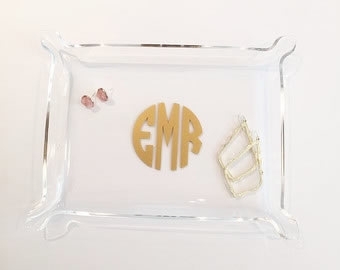 Our acrylic pinched edge monogrammed tray makes the perfect girlfriend, hostess, bridesmaid, graduation or any occasion gift! 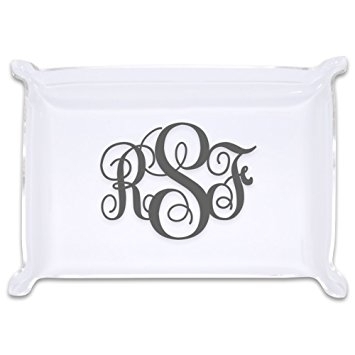 Personalize this with a name or monogram. 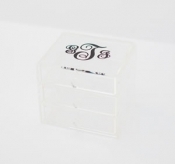 Measures 9" x 7"